Start Working On Your Report Card Comments Now! Free Learning Skills Resources Are Here! 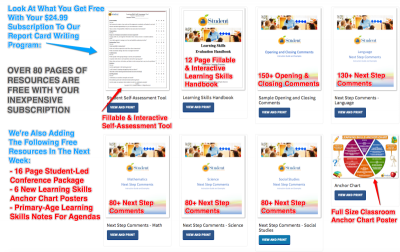 Amazing Free Resources…And More To Come! Happy New Year teachers! Thanks for a great 2014. Our elves have been hard at work over the holidays building new resources and all kinds of goodies to make managing your reports even easier. Standby for their release in the next week or so. Happy reporting!